Today a lovely package landed on my doorstep from Miss Ikon, a great fashion brand that I only recently became aware of. I had been for a job interview this morning in rather smart attire, so when I got home I decided to change out of that and into one of the pieces I received. Literally, as soon as I opened it I put it on, ha! 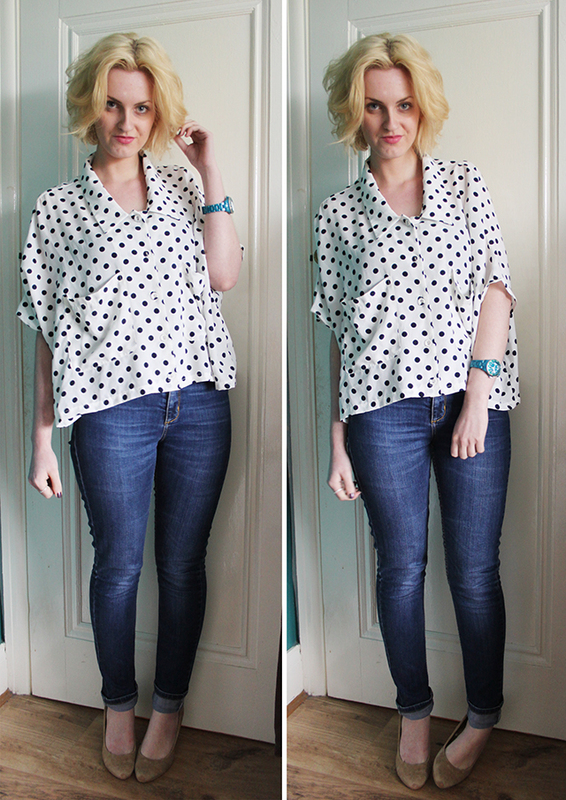 It was a gorgeous polka dot blouse, but unusual as it’s slightly cropped and oversized. Judging by the images I saw on the site, I wasn’t too sure how flattering the shape would be, but paired with my favourite high waisted skinny jeans, I think it looks lovely! I was also very kindly sent some gorgeous flatform sandals that I am currently wearing in this evening! They feel so strange to walk in as they are still flat in a way, just a wedge. Has anybody else had any trouble walking in their flatforms, as I was a little wobbly in them at first!? I do love them though, and will be featuring them in an outfit as soon as possible. I’m thinking of popping them in my suitcase when I go to Leeds as they will be perfect for hitting the shops or going out for drinks paired with disco pants! Have you bought anything from Miss Ikon? "SITTING PRETTY LOVES: BILL + MAR"
Wow I love that top! Never heard of Miss Ikon before! Will be sure to have a look! Really love your blog, followed on gfc! 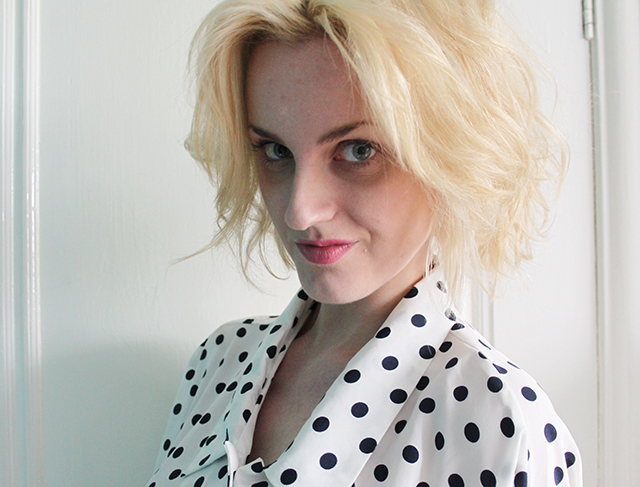 You look so lovely in polka dots! I love the unusual shape! I love the style of the blouse! 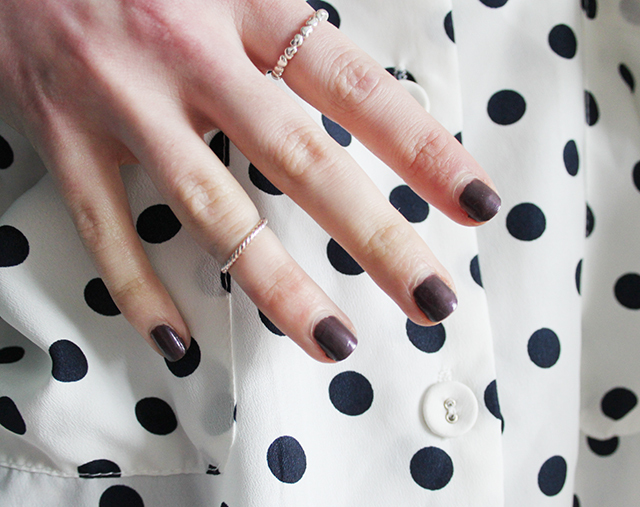 polka dots are such a classic and fashionable choice.lovely nail polish colour too. Ooh I didn't see this when I was browsing on Missikon, it's lovely! But I have a pair of sparkly studded loafers from there which I am in love with!